The NPC Internal-Seal was developed to prevent infiltration and exfiltration in concrete pipe, manholes and other underground structures. 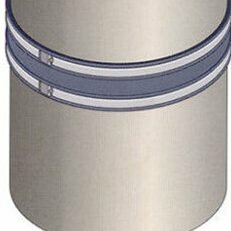 These seals are available in a wide range of diameters and in two widths. They are easily installed in new or existing pipe or structures. It is vital to equip your team of pipe professionals with high-quality equipment you can count on during your day to day operations. When it comes time for you to make the decision to invest in joint and manhole seals, look no further than PrimeLine Products, Inc. At PrimeLine, we are proud to offer all of our customers the widest range of high-quality, technologically advanced sewage and drainage equipment currently available. Our staff is comprised of trained and experienced professionals who are experts in all of the equipment we sell, the service they provide, and the sale of this equipment, including maintenance tools, repair kits and even the small bit and pieces like joint and manhole seals. 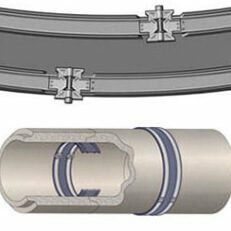 Joint and manhole seals serve a very important role in your clients’ sewer and drain system. 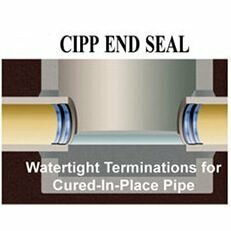 In most cases, these seals are deployed in plumbing systems to help prevent the movement of wastewater and waste particulates from infiltrating various types of propertiess, and to prevent this material from exfiltrating the sewer systems wherein they are contained. 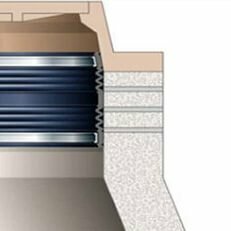 In this instance, the health of a manhole and joint seals is very important, as their condition can directly impact potential health hazards to your customers. In addition, these seals help maintain proper pressure in your plumbing systems, ensuring water and waste flows in and out, respectively. Joint seals are a critical component of residential or commercial plumbing infrastructures. As they maintain a protective barrier between the sanitary interiors of a property and the unsanitary surfaces found in and around sewage and drainage orifices. Maintaining the health of your joint and manhole seals is incredibly important, and can impact your home life as well as your commercial health inspection capacities. When you are ready to make a decision concerning your joint seals, our staff are ready and able to answer any questions and address any concerns that you may have. With PrimeLine Products, you can rest assured that your home or business will receive the highest quality equipment available and the highest quality service possible. Our products are hand-selected for premium efficacy and economy, and we are proud to provide expedited shipping services as well as in-store pickup. We can provide seals in a variety of dimensions and diameters, as well as different strength grades depending on the nature, configuration and usage of the plumbing systems you service. Knowing who to turn to for manhole and joint seal offerings is not always easy because not every manufacturer provides you with the same quality equipment. At PrimeLine Products, Inc. your satisfaction is guaranteed through our team testing each piece of equipment we provide you with. We are ready, able and willing to provide your service are with whatever plumbing products and solutions that you may need. For all of your sewage and drainage equipment needs, including joint and manhole seals, look no further than PrimeLine Products. Give us a call today to learn more about our products or to speak to one of our trenchless equipment experts.